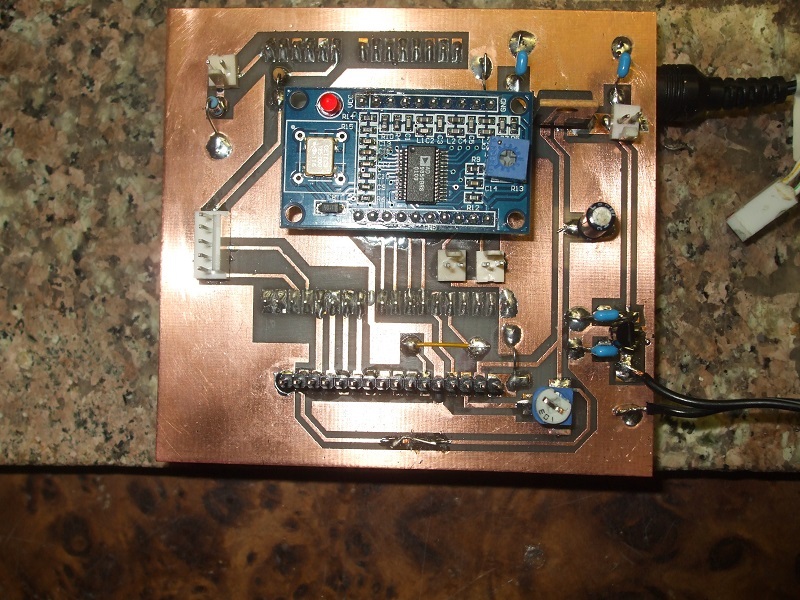 This entry was posted in Amateur Radiio, Arduino by admin. Bookmark the permalink. Not sure… best to ask Dave (WB4CHK) directly. He contact information is in the post above. I’m well into the construction phase of this board. Had big problems with press’n'peel this time – might be my stock is old. 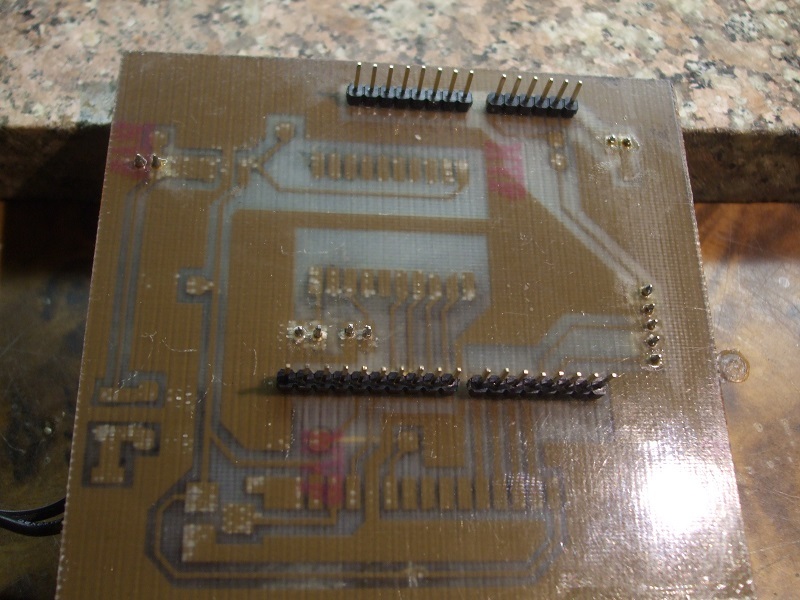 Used a piece of 0.1in matrix board aligned it up carefully with the pads. Clamped it down and whizzed through the drilling phase with the generic dremel and 1mm drill bit. Adjusted the clamp for the odd aduino connector. Anyone building this – make the contrast pot pads close together and you can use inexpensive SMD trimmers – possibly same with the other components. I spend some time resizing the board – it didn’t reproduce with the correct sizing for our european paper sizes. A4. Anyway, still to finish the build and test. Now finished and working with a nicely formed sine wave. Suggest to any follow on builders to use 9V regulator with a tab rather than the transistor style one. Mine is getting very hot to the touch so will be replaced. 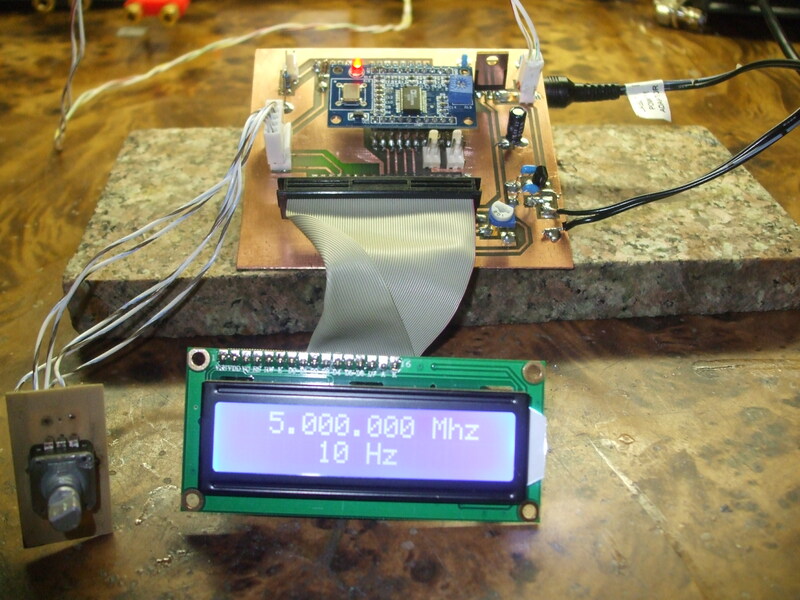 Now to case it up and make it into my bench RF generator. Rotary r = Rotary(2,3); // sets the pins the rotary encoder uses. Must be interrupt pins. You did not import the rotary library correct. Simple.